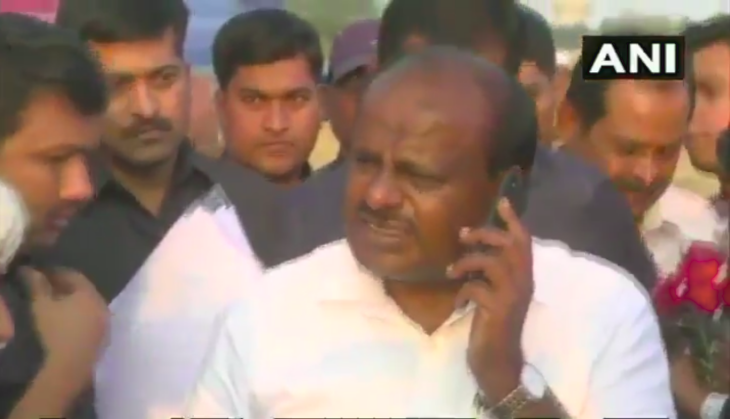 Karnataka Chief Minister HD Kumaraswamy has fallen in controversy after his voice being caught on tape in which he can be heard giving an order to mercilessly avenge the killing of a local leader of his party, the Janata Dal-Secular or JDS. In the recording, he can be heard saying that ‘Prakash was a good man. I don’t know who killed him.’ He ordered to kill the accused mercilessly, said the video clip recorded by local journalists. Later, his close aide came in defend of CM Kumaraswamy and said that he was shocked by the murder of the party worker, therefore, it was his emotional outburst. Also, the chief minister clarified his statement and said that "it was not my order, I was emotional at that moment.' He told that the killers are the reason for two murders and they were in jail. After getting the bail, they killed another person, his party's leader Prakash. 'This is how they are misusing bail,' said Kumaraswamy.